The PCE-MF 1 Mini Infrared Thermometer is a robust and easy-to-use device that measures surface temperature. The PCE-MF 1 Mini Infrared Thermometer has a display which shows both the current temperature and max. and min. values during the measurement. The PCE-MF 1 Mini Infrared Thermometer measures surface temperature within a few seconds. 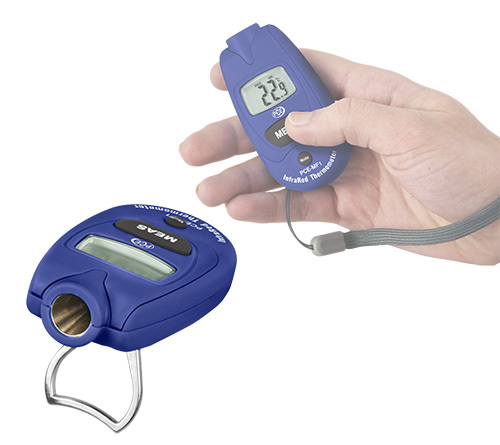 The device is used to measure non-contact temperature in hot, dangerous or difficult to access objects. The usage of the PCE-MF 1 Mini Infrared Thermometer is almost unlimited. The PCE-MF 1 Mini Infrared Thermometer can be used for the control of heating and air-conditioning systems and heating floors as well as to detect heat sources in electrical installations, etc. The emissivity value of the PCE-MF 1 Mini Infrared Thermometer is 0.95 for 90 % temperature measurements. 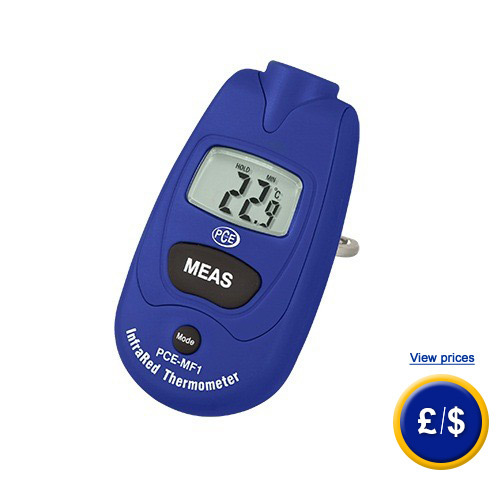 At the following link you can find the infrared thermometers which will suit your needs. PCE-MF 1 Mini Infrared Thermometer.